I got to hold this little lady for the first time almost exactly a year ago. 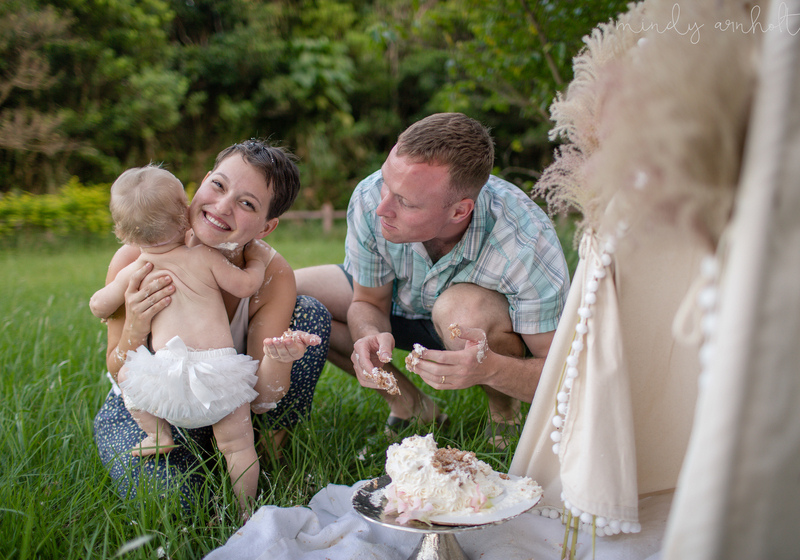 We were at a big Thanksgiving/Friendsgiving Dinner and her mama let me hold her while she ate, and that was it: I fell in love. 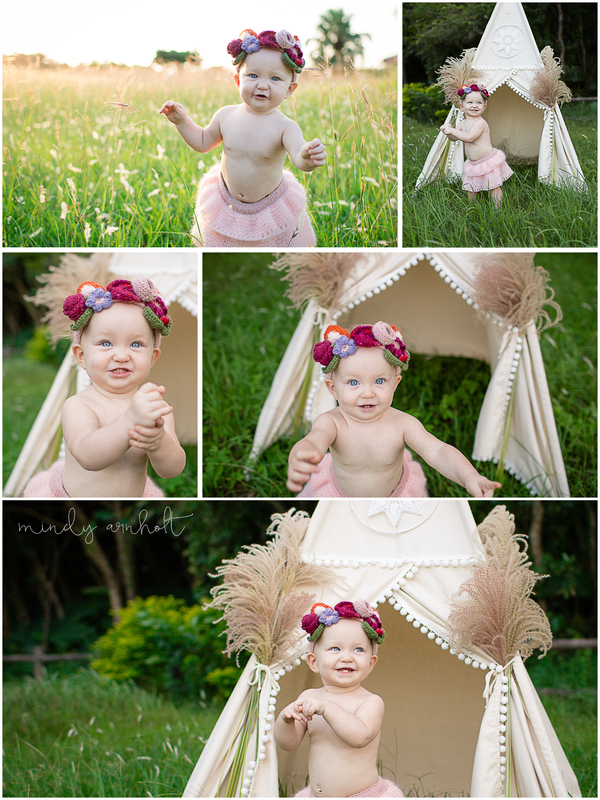 A year later- I fall more in love at every photoshoot! 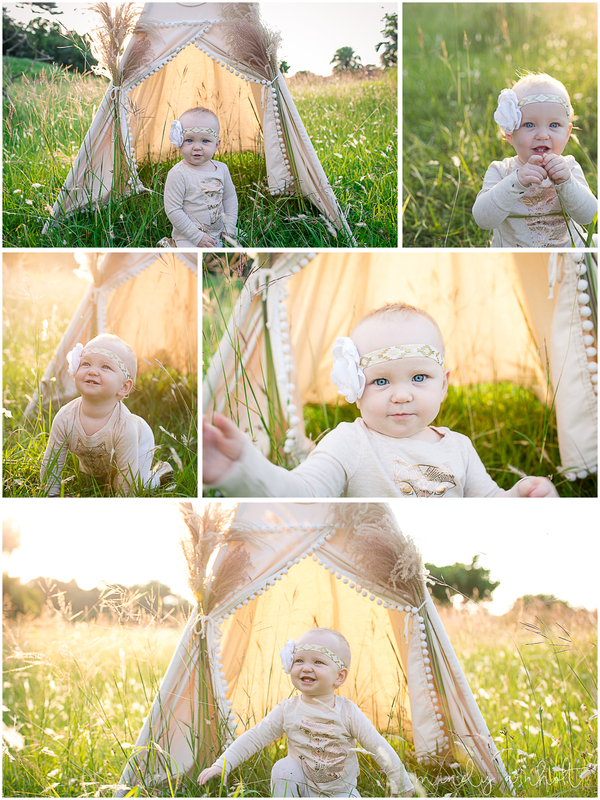 She has smiles and energy for days, some of the most arrestingly blue eyes I’ve ever seen, and her mom shares my vision for every shoot – right down to her hand crocheted accessories! 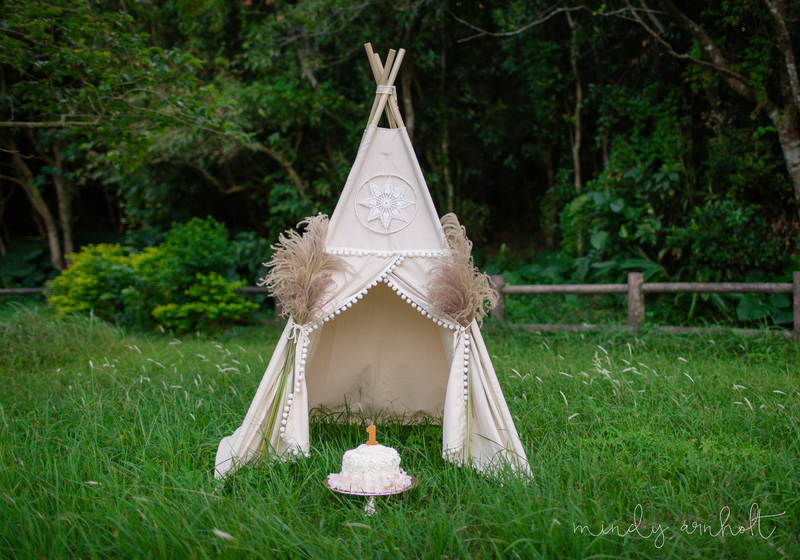 When I suggested that maybe we do a teepee cake smash, it took her mama about an hour to send me a message saying she’d already found and ordered one! 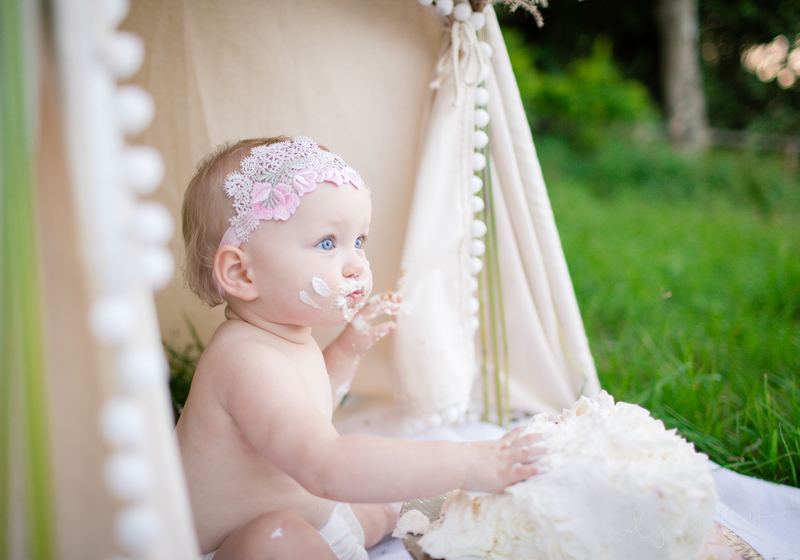 When we put the cake down in front of this little lady it took her half a second to dig in and less than a minute to “smash it good”. Really, what’s not to love? When we moved to Okinawa I split my time pretty evenly between decorating cakes and taking pictures. 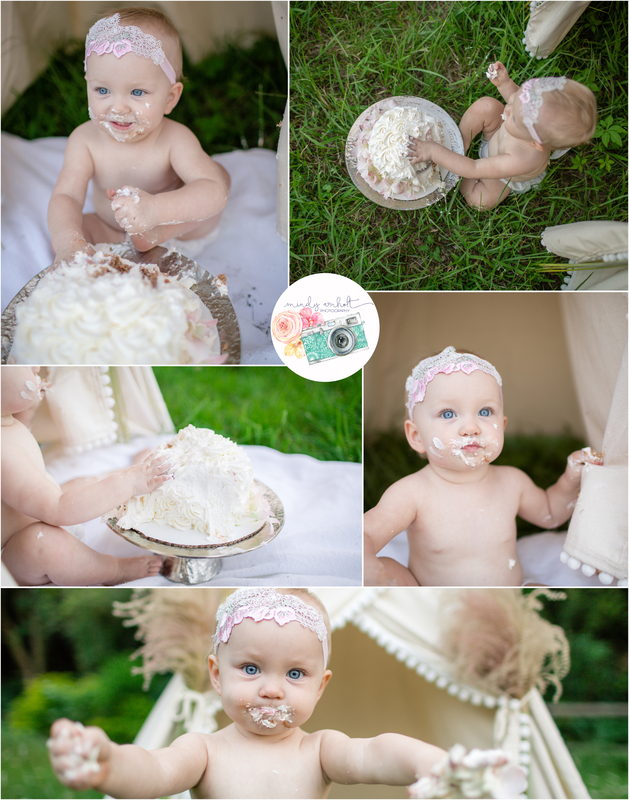 Since beginning to market myself more as an Okinawa photographer, I’ve stopped baking so much, but cake smash sessions still give me the chance to combine the two, which makes them one of my favorites to shoot. 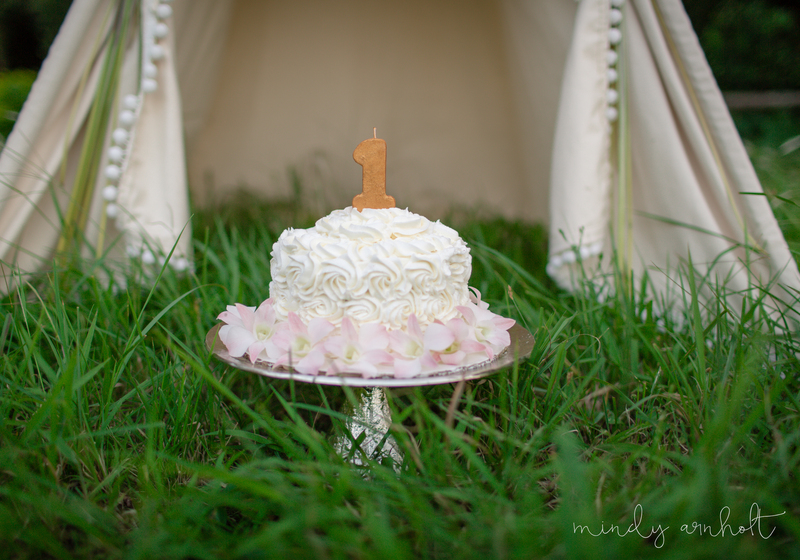 I love coming up with a set concept and tailoring the cake to match. 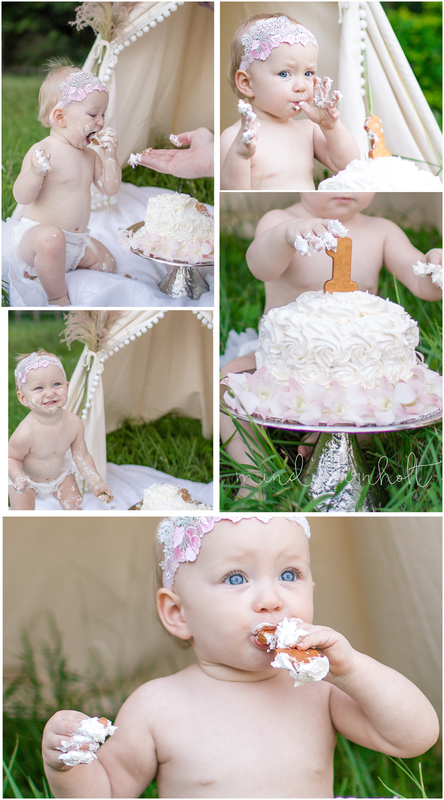 For Vi’s cake smash we stuck to warm neutral colors and that Okinawan sunset got the memo and cooperated! 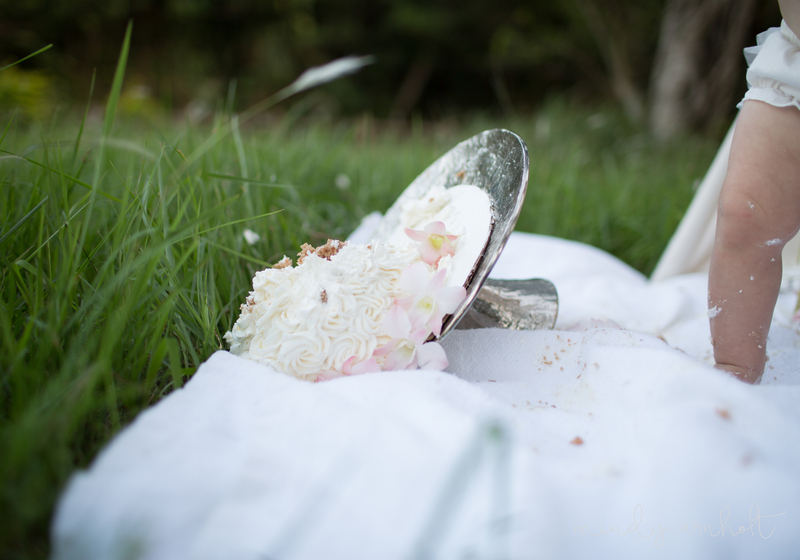 A cake smash session can be literally hit or miss. 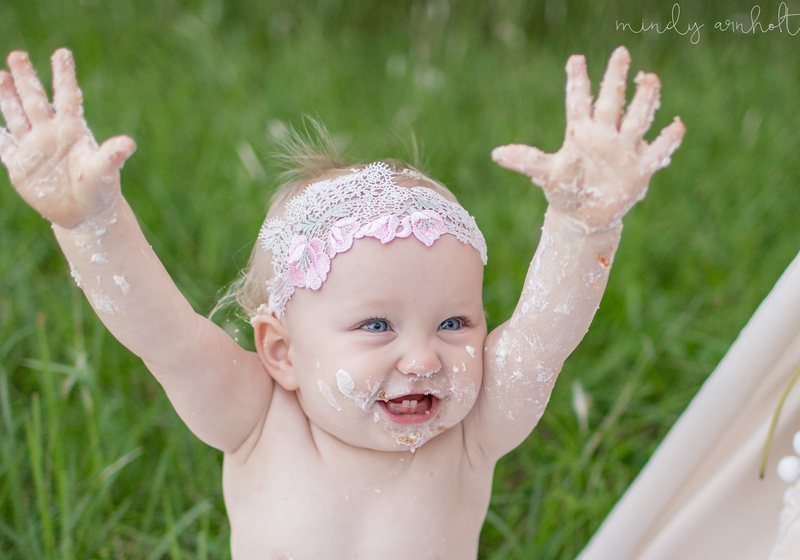 Sometimes kids want to “smash it good” and sometimes they want nothing to do with the cake. One way or another we always wind up getting awesome pictures… but this was definitely one of the sessions where she “smashed it real good”. 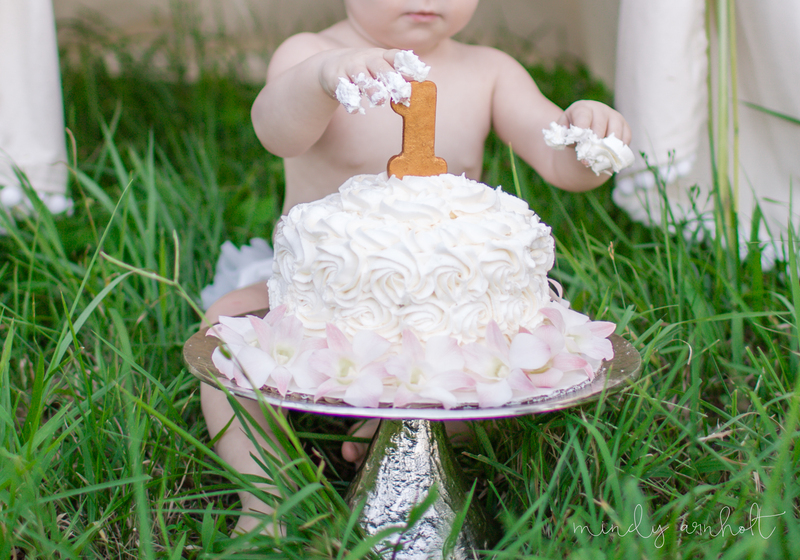 Have a little one about to turn one? 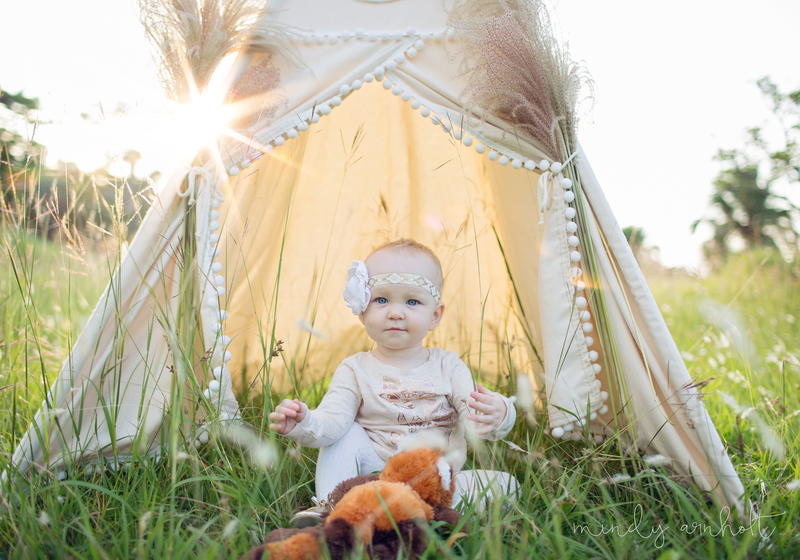 Looking for an Okinawa family photographer? Let’s chat!